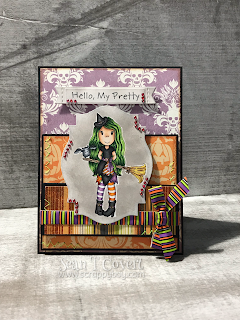 Scrappy Boy: Happy Halloween from Paper Nest Dolls!!! Hello and welcome back fellow crafters! I’m back to share my project for Paper Nest Dolls. This is the SUPER cute Witch Avery with Bat! I think she turned out pretty darn cute!!!! Thanks for looking and I hope you enjoyed!! !